Established in the year 1984, "Global Liners" is one of the dominant Manufacturer, Supplier, trader and Exporter firms in the industry gaining wide recognition across the borders for the offered range of Cylinder Liner and Sleeves. Our strong domain expertise and proven capabilities of precise manufacturing reflects in our offered broadened product portfolio, which includes best quality Cylinder Liner, Cylinder Sleeve and Industrials Cylinder Liner. The offered products are manufactured at our state of art infrastructure and demanded across the industry for its beneficial features of precision design, innovative and industry approved quality, rust proof finish, high strength and maintenance free life. We export our product across the globe. We deal into the minimum order quantity of above 200 units. Since the establishment, our company is based on the pivot of client focused business philosophies. This is why we invest substantial resources in studying the market trends to garner the tailor needs of discerning clientele from automobile industry. Further, the passionate endeavors of our team members to excel at every stage are further underpinned by our total quality management system. Apart from the CNC based infrastructure, we have developed a highly advanced quality control department, which is fully equipped with special gauges, roughness tester, slip gauges, height gauges, ferro lab, metallurgical microscope, spectrometer from Spectromaxx Germany and profile projector. 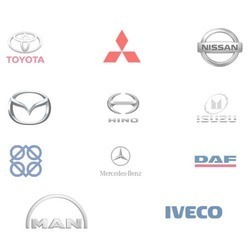 Besides, our proficiency to cater the complex business scenario earned us the privilege to be the preferred choice for a huge client base including Toyota, Mitsubishi Motors and Mazda. Keen understanding and vast industrial knowledge of our leader Mr. Naishadh Patel motivates every team member to achieve true partnerships with a vast clientele. 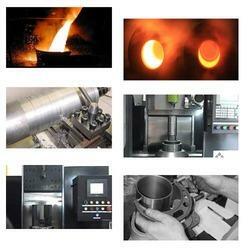 Manufacturing, Trading, Importer and Exporter of Cylinder Liner And Sleeves. Backed by the rich industry experience and knowledge, we are offering an excellent range of products. These products manufactured by our professionals using premium quality raw material and latest technology as per the defined industry standards. In order to ensure the quality, the entire product range is stringently tested on well-defined quality parameters. Apart from this, the main aim of our company is to provide qualitative product range at the competitive rates at the committed period of time. We have the capacity of producing 50,000 pieces per month which it self defines the production capacity of our state of the art infrastructure. We produce cylinder liners and sleeves through these manufacturing processes with the help of fine state-of-the-art infrastructure and experienced staff. We are reckoned organization highly engaged in offering elevated range of products. The team of professionals in our company is highly experienced and knowledgeable in meeting the variegated demands of the clients. Our in-depth domain expertise and rich industry experience have enabled us to meet the variegated requirements of market as well as of our clients in the most efficient manner. Moreover, our adroit team is segregated into various departments, who work with dedication and passion to fulfill the wide needs of clients in an appropriate manner. We are a respectable name in this industry, betrothed in offering highly durable array of products as per our clients’ precise needs.